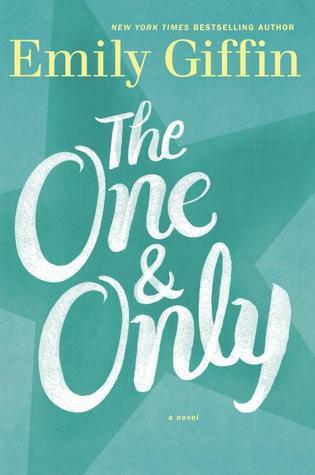 I was eager to begin reading The One & Only—partly because I love Emily Giffin and partly because I had just finished All Fall Down and was in the mood for a fun summer read. I didn’t read what the book was about before downloading it to my Nook and diving in. I’m glad I didn’t—had I, I may not have read it at all. The entire story is built on the world of football, a world that doesn’t interest me in the slightest (unless you count the snack layout during the Superbowl). Though the football element is more about the culture of football (read: you don’t need to know anything about football to understand the book), it was a little distracting and off-putting. Not to mention the slightly incestuous relationship that develops. The book is about 33-year-old Shea, who has minimal career/life aspirations other than to live, eat, and breathe football. The focus is on her hometown college football team, Walker University. She works for the athletic department, dates Walker football alumni, and refuses to move out of town for fear of moving on from Walker. I do applaud Giffin for her character and story building, however. I felt that the characters were multi-dimensional and the world of Walker was constructed well. Giffin is one of my favorite “fun” authors, but the plot was not for me. I finished the book in a weekend. It was a page turner, but not because I was dying to know what was going to happen (it was very predictable), but because I was eager to start my next book. I rated this book 3/5 on Goodreads. I recommended it to my mother, who is obsessed with football (and because in a strange way, Walker football reminds me of Boise State football—and Coach Carr reminded me of our own Coach Pete). I don’t see myself recommending The One & Only to anyone else.